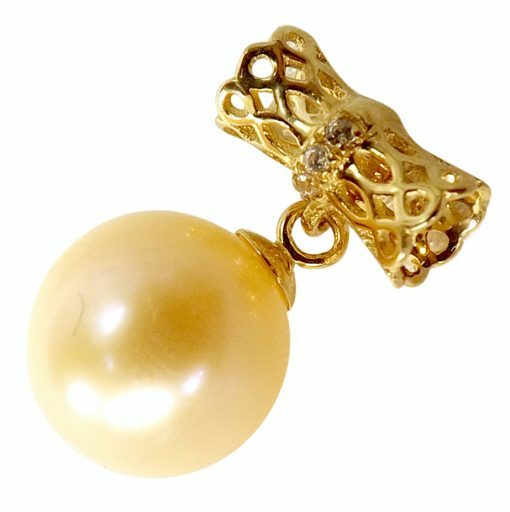 This Unique 18K Yellow Gold Filigree with 8-9mm AAA Round Pearl Pendant is elegant and versatile. 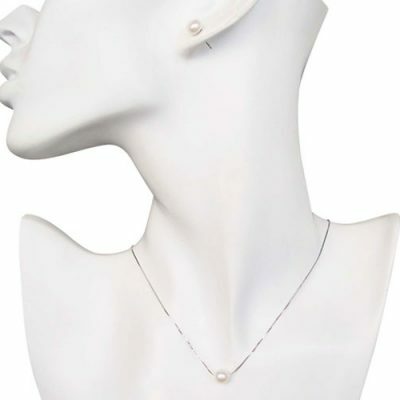 The pendant bail is actually a beautiful filigree tube that measures 3/8 inch long and will accommodate up to a 3mm chain or cord. That means there is no limit to how many different looks it can have. Any chain will look great, but you can also wear it on a leather cord to go with your jeans and boots. If you like coordinating your jewelry with your outfits, keep an assortment of silk cord and ribbon in a variety of colors for a quick way to pull it all together with your own style. It is made of solid 18K Yellow Gold and has a pink 8-9mm AAA grade round pearl. You may also make a special request to have this in white, mauve, or black.